Bathroon turn & release, Has bolt through option (bolt through fixings not included). The ZCS2 range is made exclusively from 201 grade tubular stainless steel. 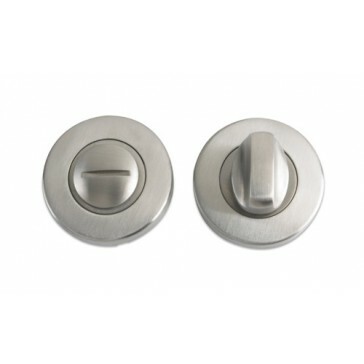 All designs feature a 52mm push on rose, all corrosion tested to BS EN 1670 Grade 5.